This is the step-by-step, printable version. If you PRINT this page, any ads will not be printed. See also the animated version. 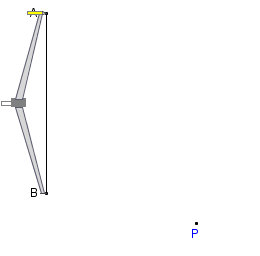 Start with the line segment AB which is the length of the sides of the desired equilateral triangle. 1. 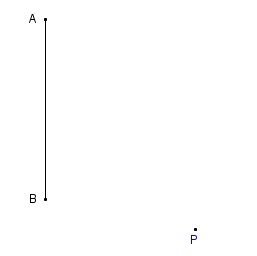 Pick a point P that will be one vertex of the finished triangle. 2. 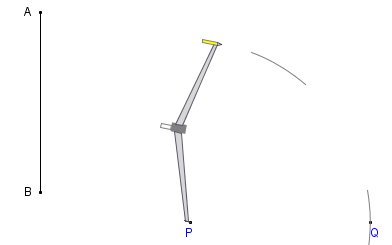 Place the point of the compasses on the point A and set its drawing end to point B. The compasses are now set to the length of the sides of the finished triangle. Do not change it from now on. 3. 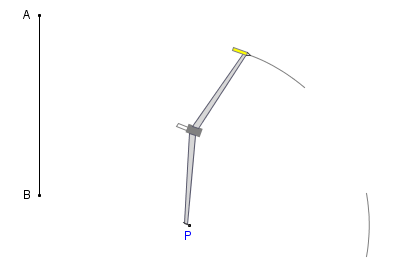 With the compasses' point on P, make two arcs, each roughly where the other two vertices of the triangle will be. 4. On one of the arcs, mark a point Q that will be a second vertex of the triangle. It does not matter which arc you pick, or where on the arc you draw the point. 5. 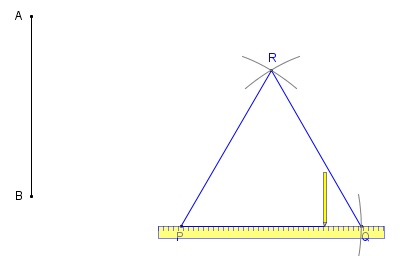 Place the compasses' point on Q and draw an arc that crosses the other arc, creating point R.
6. 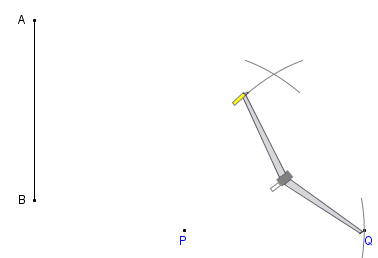 Using the straightedge, draw three lines linking the points P,Q and R.
7. Done. 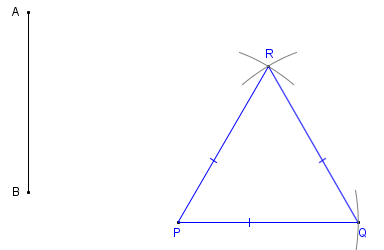 The triangle PQR is an equilateral triangle. 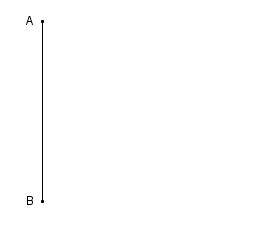 Its side length is equal to the distance AB.